Fresh Mint, summer is here! Sometimes the simplest things taste the best. One of my favorite vendors at the Farmer’s Market on Saturday had bunches of fresh mint, you could smell it an aisle away, so of course I had to buy some. 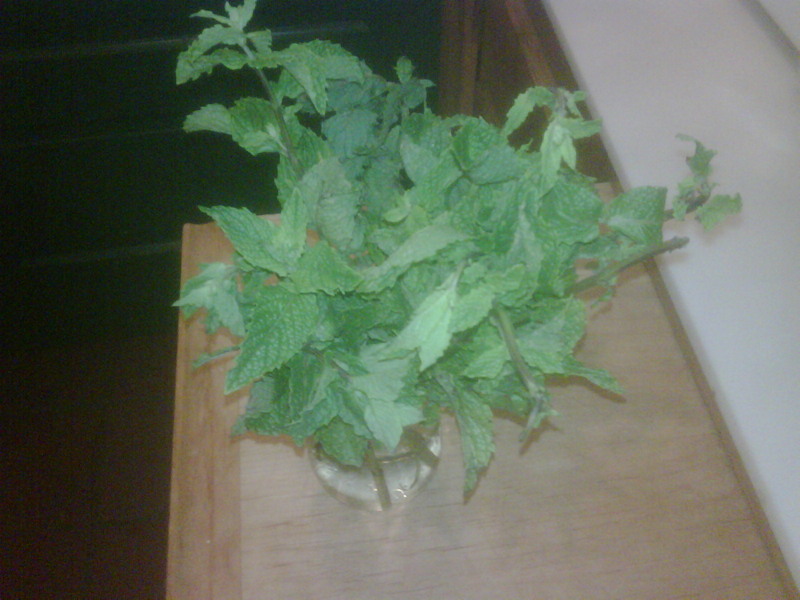 Nothing says summer to me like bunches of fresh mint. So what to do with it. This morning I made the simplest of fruit salads. We took fresh strawberries, a little brown sugar and mixed them up with some of the chopped fresh mint and let it sit for about 10 minutes. We added some chunks of ripe cantaloupe, mixed it all together and let it all sit in the fridge for half an hour before serving. Every single fruit bowl came back empty. I would have taken a picture…..but we ate it all, down to the last little strip of mint. Later this week we will be having melon mint soup, and glazed pineapple with raspberry mint sauce. I can hardly wait!